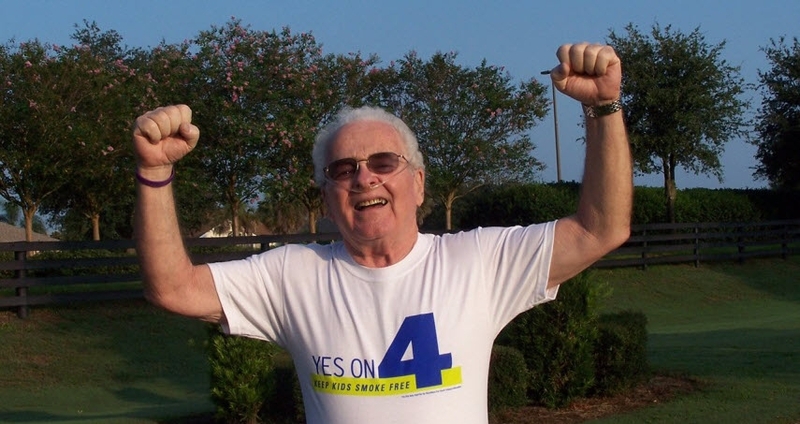 On October 4, 2015, we lost a hometown hero, Nick Jones of the Villages, Florida from COPD at the age of 80. We extend our thoughts and prayers to Nick’s wife Janet and his entire extended family. 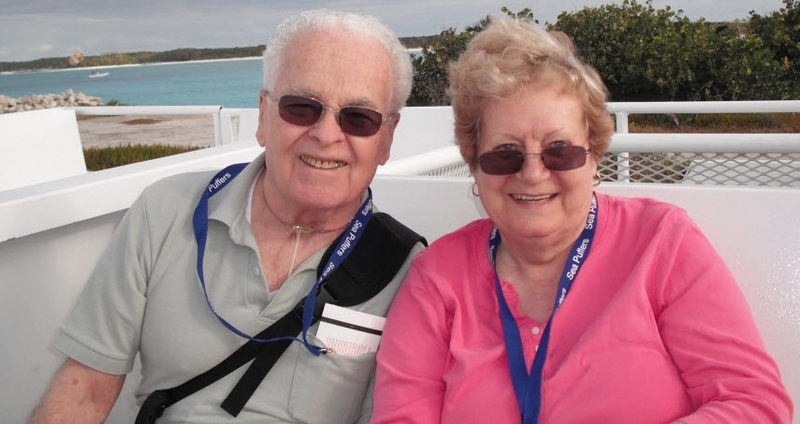 What set Nick apart from so many others was that his accomplishments and message of love and caring far exceeded the boundaries of his beloved Florida community, impacting people living with COPD across the United States. Nick leaves a rich legacy of integrity, respect, leadership and humility that shall remain an inspiration to us all. Nick was born in Portland, Maine, later moving to Florida in 1971. A Korean War Veteran, Nick also spent three years serving in Vietnam as a civilian supporting the U.S. Army. After retiring from a successful career in the banking industry in 1996, Nick and his devoted wife Janet took up residence in the Villages, where he soon became the founder of the Santiago Social Club, Director and Treasurer of the Villages Homeowner’s Association and a Supervisor and Chairman of the Villages Community Development District #2 Board. Always involved in his community, Nick was active in the United Way, served as Treasurer of the Welsh-American Club and Vice President of the Osceola Optimist Club. He was a member of several organizations including the Nor’easters Maine/Vermont Club, Seniors against Crime and the Take Stock in Children Program as well as serving as a Little League coach. When diagnosed with COPD, rather than be a victim, Nick chose to spend his remaining years reaching out to others with COPD in his community. Nick became a charter member and president of the Village Airheads COPD Support Group. This innovative group became the model for other similar communities including an Airheads chapter in Ocala. 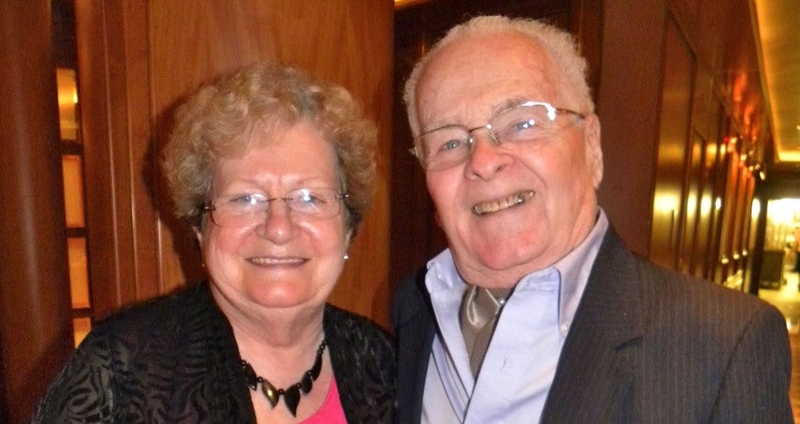 Along with his wife Janet, he taught breathing and exercise classes through the Village’s recreational department and “Living Well with COPD” at the Lifelong Learning College. Those who knew Nick realized that in Nick’s life, he spent little time dwelling on things he could not change, and instead devoted his efforts on changes that could be made. the start of the campaign that Nick worked so hard to bring to fruition and will include multiple awareness and educational exhibits at the Villages Market Square Nights, a full day COPD screening day at the Villages Health Community Center and a COPD Community Education Workshop for patients, caregivers and healthcare providers to learn more about the management of COPD, coping with comorbidities, supporting caregivers and more. Since aligning his talents and skills with the COPD Foundation, Nick worked as an associate on the COPD Information line, sharing his knowledge and message of hope to newly diagnosed patients, and took a leadership role on the Board of Governors of the COPD Foundation Patient- Powered Research Network (PPRN). For his many achievements throughout his life, Nick was most proud of his efforts to promote support, awareness, education and change for his extended COPD family; whether it was through motivating them to get up and move through his exercise classes, helping them find the right doctors when people arrived at the Villages clearly in need of better care, through distributing portable oxygen equipment to those who needed help to retain their mobility, or through the support he gave to others during his time on the COPD Information Line. Many times he would receive a call that someone in the Villages needed a friendly visit and he would go to them, talk, motivate and help them however he could. Nick Jones made a difference and we are better people because he once shared our journey. Nick’s wish was that his dreams for the COPD community would go on long after his passing and that his simple message of hope and caring for others would continue to inspire future generations. 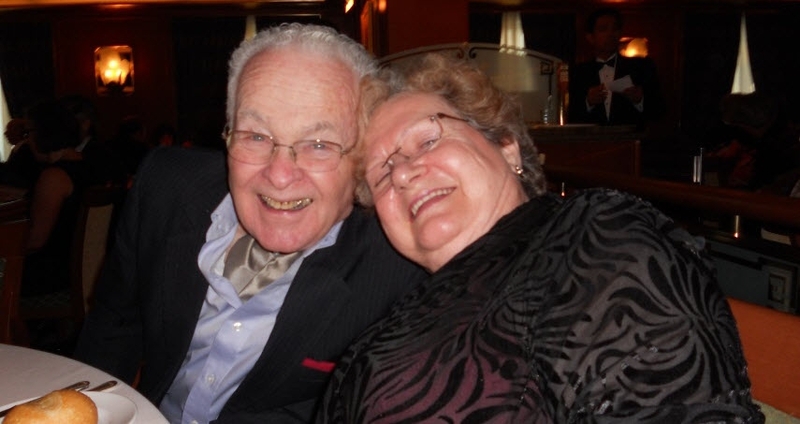 The COPD Foundation has established the Nick Jones Legacy Fund to provide support for those struggling with COPD and to honor Nick’s wish that other COPD communities could be built on the model he so successfully designed.